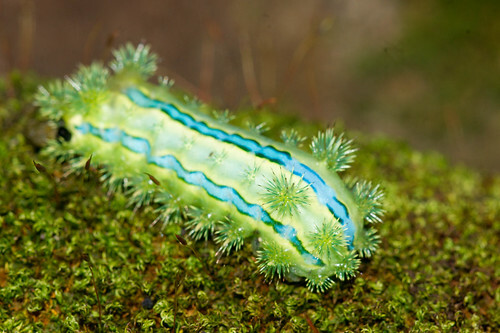 Nature Magnified: Limacodid moth caterpillars can sting! 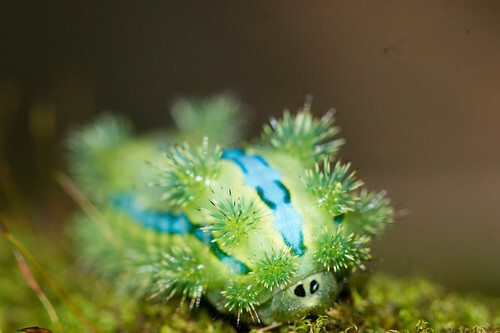 Limacodid moth caterpillars can sting! 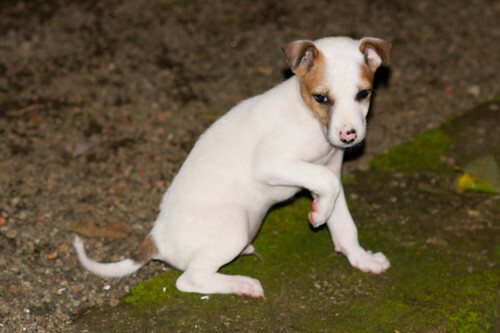 This is my dog- Mika, when he was a few months old. You may have noticed that he doesn't look too happy and he seems to be holding up one of his feet. 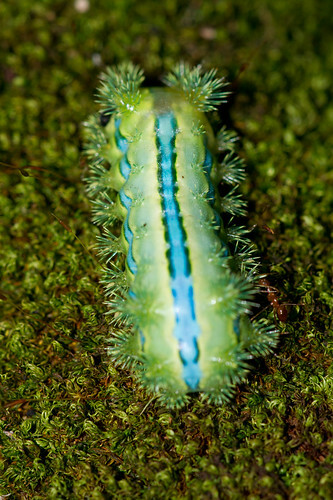 This is the caterpillar of a Limacodid moth. 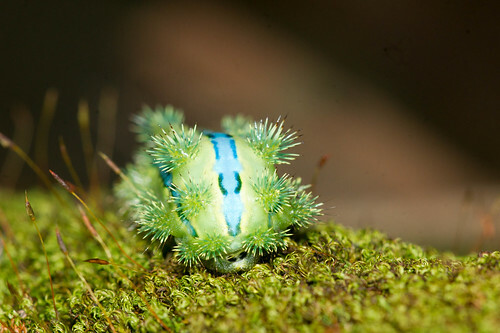 They are small, hairy moths, with reduced or absent mouthparts and fringed wings. They often perch with their abdomens sticking out at 90 degrees from the thorax and wings. 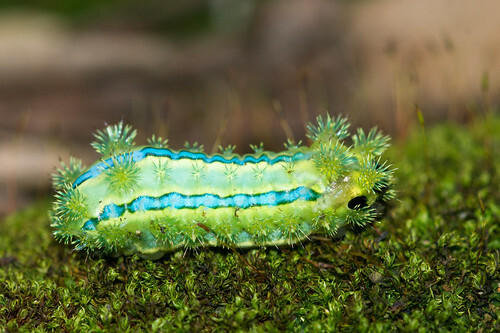 They are sometimes called slug moths as their caterpillars look like slugs. Some of them, as the one here, have spines that can cause a painful sting and help to defend against predators. They use a lubricant made out of liquefied silk on which they glide along to move about. 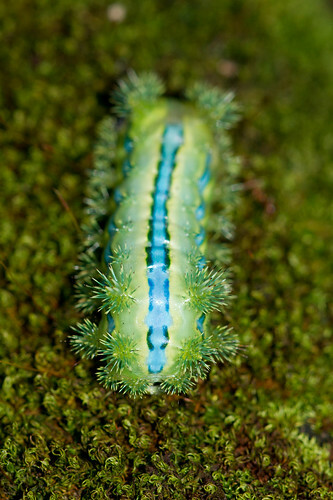 The head of the caterpillar is always covered, but it is extended during feeding from under the fold of skin. 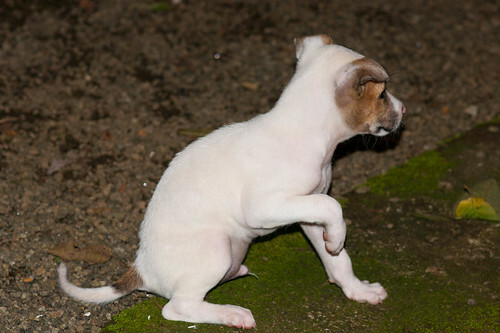 Touching the spines is known to cause a potent sting and the it can be quite painful and last for a few hours. They always are brightly coloured as a warning to predators. This particular specimen appeared to have been paralysed, perhaps by a wasp and appeared fallen off a Jamun tree, straight onto the path of poor Mika! P.S – Mika sulked and limped for about 2 hours before the sting wore of and he was perfectly fine. 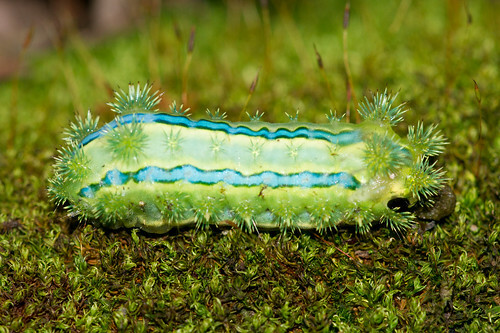 The caterpillar stayed paralysed for a few days, untouched by other insects before it decomposed inside out!